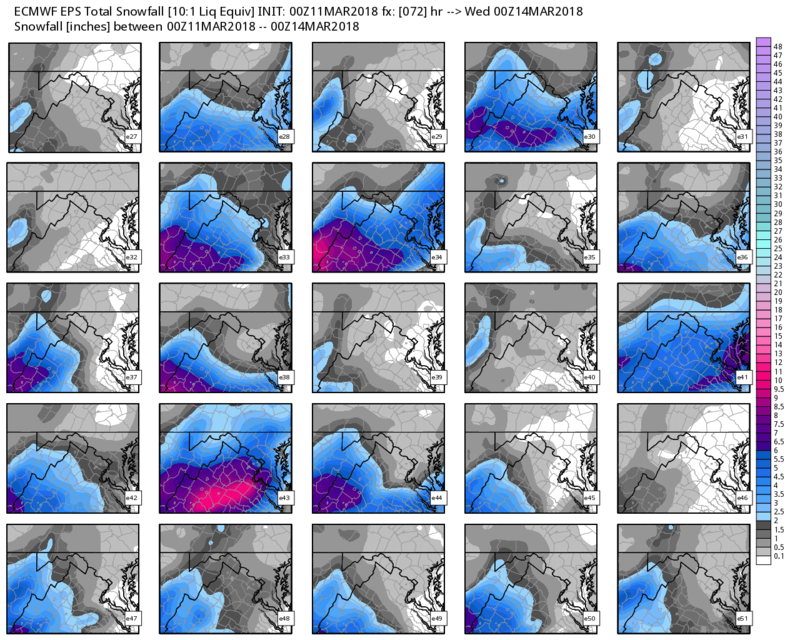 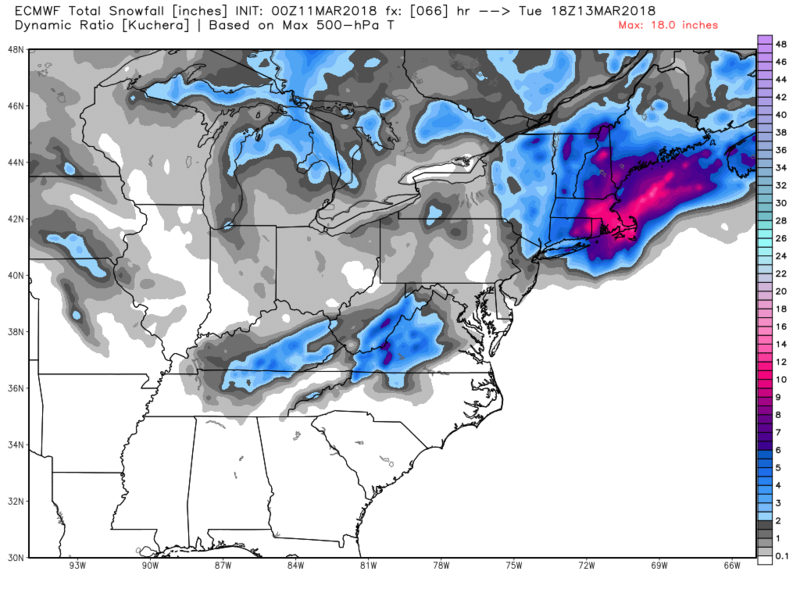 The trend in the 50 European ensembles from overnight suggests that despite a slight northern jog in track over the past several days, the steadiest snowfall rates should remain well to the south and west of Washington on Monday. 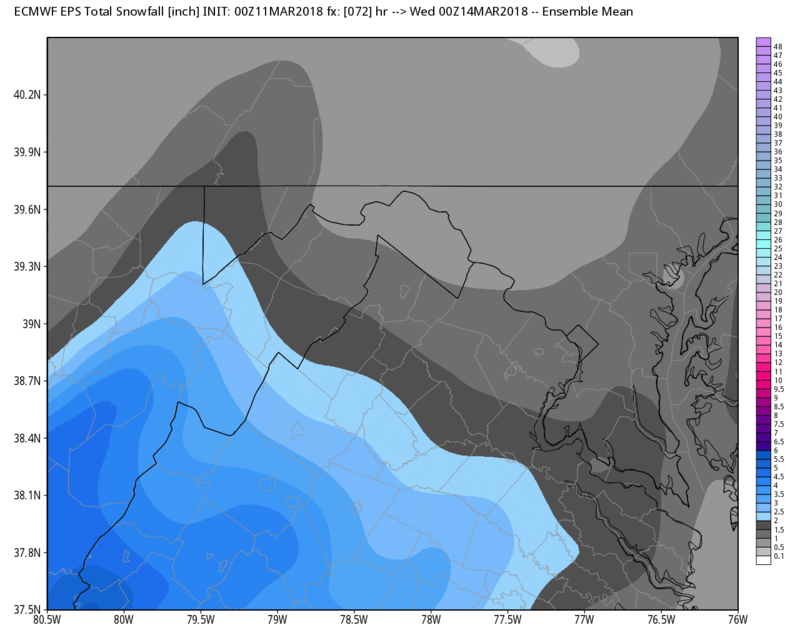 A slushy half-inch to one inch of accumulation is possible (confined to grassy surfaces) along and south of the interstate 66 corridor in Northern Virginia and along and east of interstate 95 in Maryland. 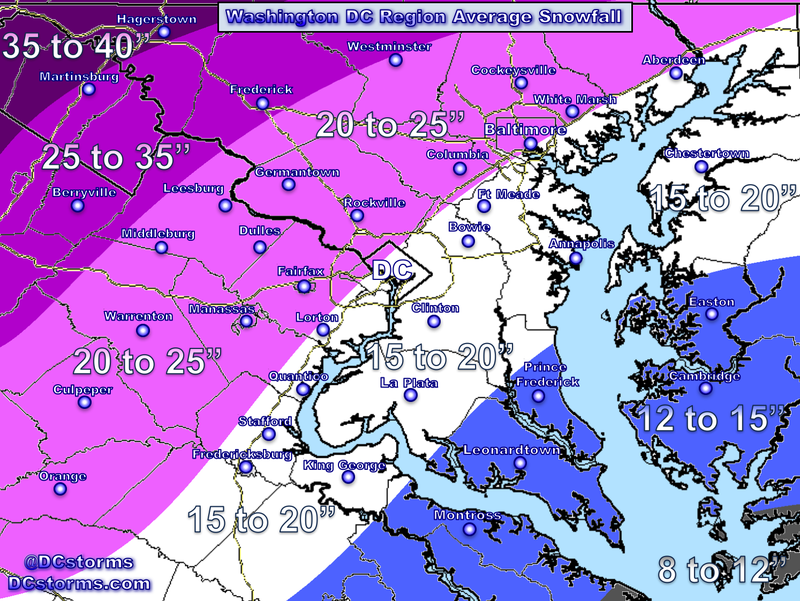 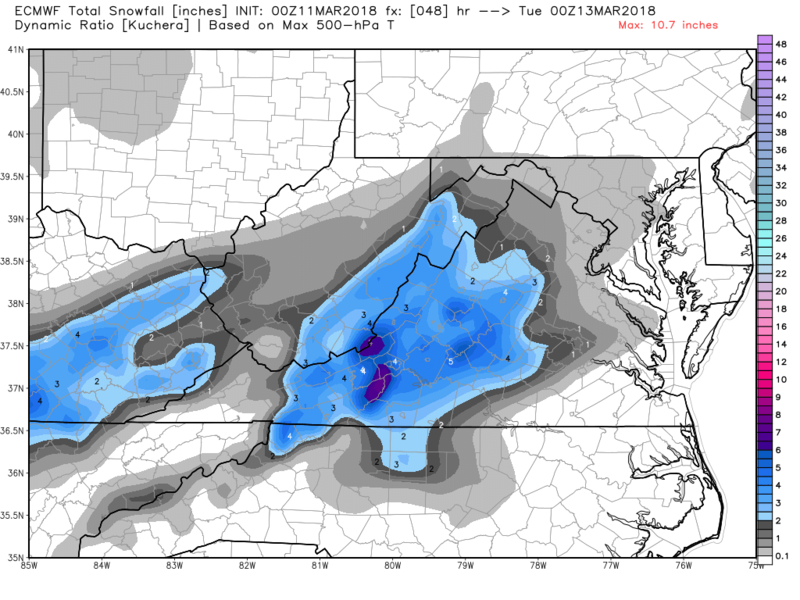 The central Shenandoah valley as well as the hilly terrain along and east of the central Virginia Blue Ridge have the best chance of receiving 3 to 6″ of snow. 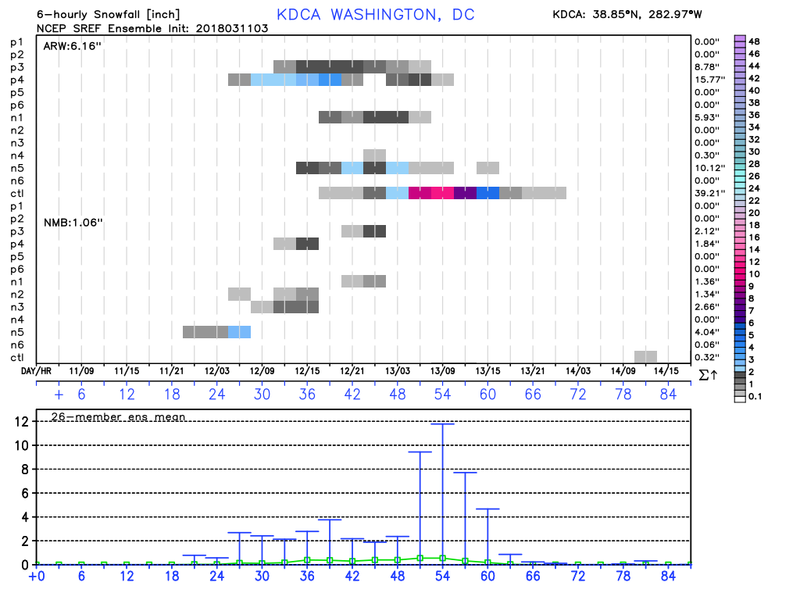 The higher March sun angle will be in play here with precipitation moving in during the afternoon hours. 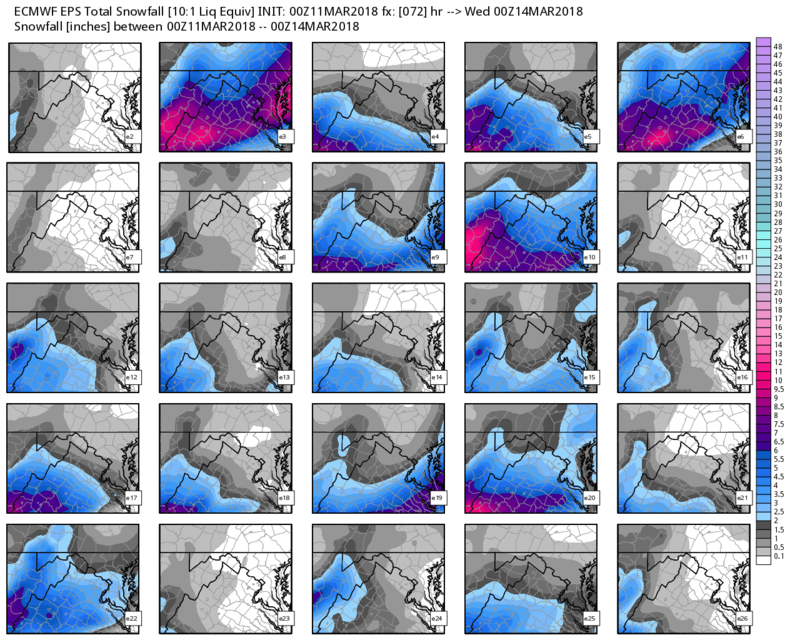 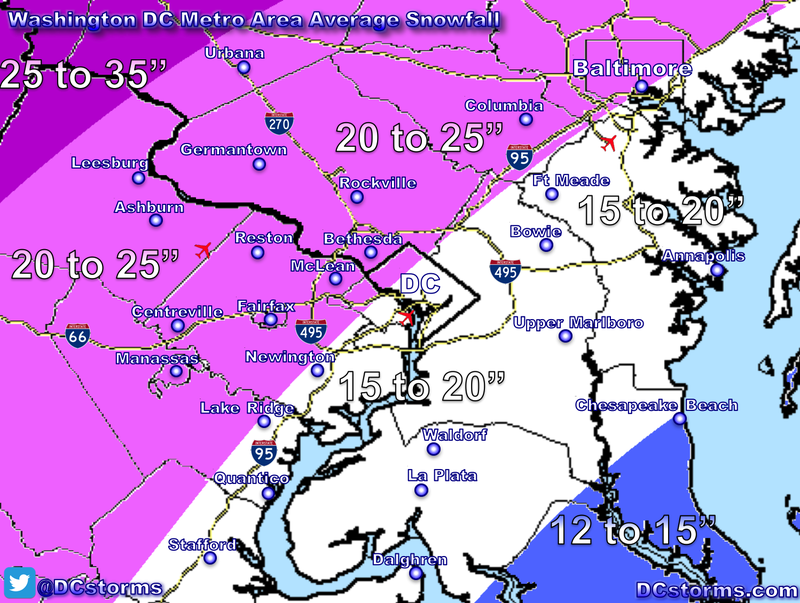 The 26 member ensemble mean suggest that 2″ in DC tomorrow would be the most we would see with less than one inch being the most likely outcome. 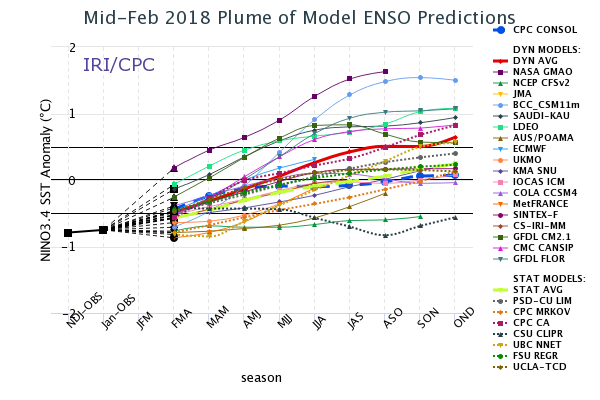 Sorry Snow Lovers, the bright side is that we will pay for this lack of snowfall in future winters and the models are suggesting that a weak El Nino may be in store next Winter.